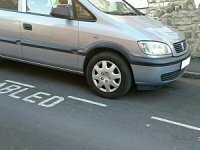 A petition has been set up by a Sheffield citizen to protest at discrimination against disabled drivers in the city’s major new roads upgrading scheme, claiming that ‘Streets Ahead’ have resurfaced on street parking zones across Sheffield but have not included disabled bays. Disabled adults, children and carers should be able to shop locally, meet friends and support local businesses. Without “disabled bays”, this makes it difficult and is discriminatory. If you agree Ann-Marie asks you to sign her petition. 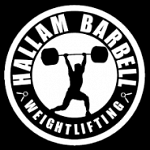 Hallam Barbell, an Olympic Weightlifting and Strength Training Club based in Sheffield, is now offering a disability-inclusive programme and has a para power bench which allows disabled people to train competitively. It is an official British Weightlifting affiliated club, with an ambition to make Sheffield stronger: physically, mentally, emotionally and socially. Skills for Care are working with Skills for Health, the National Autistic Society and Opening Minds Consultancy to develop a ‘core capabilities framework’ about autism. They are holding 2 co-production sessions in Sheffield on January 21st for paid staff who support autistic people ( AM ) and for people with lived experience of autism ( PM ).Skills for Care will use what you tell them to shape the new framework so that public services can ensure their staff deliver their services in the way that autistic people need. It will also help services to train their staff properly. We hope that you enjoyed our Celebration Event on Thursday 6th December marking 10 years of our advocacy and information service, as much as we did. Thank you to our sponsors who made the celebration possible – Switalskis solicitors, our local Sainsbury’s on Division Street and Virgin for the use of their fantastic lounge. A special thank you to our trustee Christine Griffiths from Switalskis solicitors for her support and assistance at the event and our volunteer, Andrew Smith who has produced a great video we launched on the night to mark the occasion. 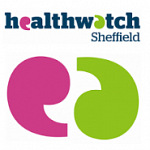 If you want to get involved in a new group making Health & Social Care Services work better for people in Sheffield, Healthwatch Sheffield are holding three information sessions in January to recruit people who use health and social care services, their families and carers. Please book a place by 22nd December. 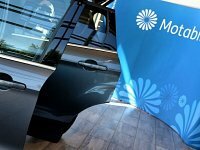 Following shocking revelations of £15.3 million in bonuses paid out to top executives at Motability Operations and questions raised by the House of Commons Work and Pensions and Treasury select committees, the report considers the Motability scheme’s customer offer and performance; the scheme’s financial model, its impact and profitability; and the governance of the scheme and remuneration of Motability Operations’ senior management. 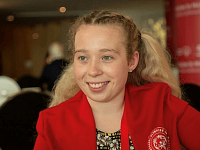 Who has made the 2018 Learning Disability and Autism Leaders List? 60 extraordinary people with learning disabilities and/or autism who are helping to make society better for everyone are being celebrated in Dimensions’ annual leaders list. Tess Daly, Disability Sheffield’s Individual Employer Project Co-ordinator, appears alongside Rita Ora and Cara Delevine in an emotive film made by cosmetics giant “Rimmel London”, detailing authentic stories of being on the receiving end of beauty cyber-bullying.Last year, 115 million images were deleted from social media because of beauty cyberbullying. The #IWILLNOTBEDELETED campaign,aims to take a stand against this trend. 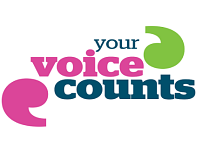 Healthwatch Sheffield – your local consumer watchdog for health and social care services – has published its latest newsletter, which includes a reminder that voluntary and community groups will be to apply from 19 December for their #Speak Up grant, to receive up to £500 to carry out creative and impactful engagement work within communities.